Joanna Young has executive-level experience in CIO and CFO positions, with a proven track record providing digital leadership and guidance to executives, teams, and individuals from the Fortune 100 to local governments. A turn around specialist, Joanna is known for helping organizations eradicate their barriers and blockers to success. She excels at exceeding client expectations in difficult situations, moving organizations past pain points to predictable delivery of value. Her experience includes insurance, financial services, healthcare and higher education. Regardless of industry, she is known for implementing improved quality, effectiveness and efficiency. She has designed and led large complex strategic initiatives involving organizational transformation, enterprise systems, service management, and infrastructure. She is also an expert in a variety of IT frameworks including Agile, Lean Management Systems, ITIL/ITSM and COBIT. 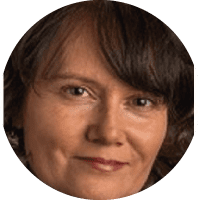 Joanna is digital native and has been named Top Social CIO for 4 years running; she is also part of an international group of C-suite professionals who collaborate regularly under #CIOchat. Known for writing on leadership and digital transformation, she not only writes for BlueLine Associates, but she has her own blog at jcycio.com, or follow her on Twitter @jcycio. My first job was as a technical writer in the days of client-server. User interface design was gaining traction, and making technology easier to use became a passion. With successive roles, I kept that focus on ease of use – transforming the experience for the better for customers. I feel strongly about these two issues: first, ensuring that the results of digital transformation benefit people and society; second, supporting diversity in technology careers, from early stage to executive roles. There are so many people, but here are a few: Marc Benioff and Vala Afshar at Salesforce. Sharon Pitt and Melissa Woo, both higher education CIOs. David Chou and Susan Schade, both healthcare CIOs and all participants in Thursday afternoon’s #CIOchat forum on Twitter; a great group of technology leaders who share their expertise. I have a lot of admiration for people who do the hard and necessary non-profit work in their communities. Running homeless shelters, staffing food pantries, working with the elderly and disabled. These people are quiet heroes; they do a lot with very little. They influence me to be thankful and mindful, and to always look for ways to make a positive difference. I like to go to small-mid size events where you can have quality networking. I’m partial to events that include a focus on the issues surrounding technology talent, particularly inclusion and diversity. I believe developments in #AI are going to fuel disruption, for example more intelligent chatbots. However I think that most companies are still investing in and often challenged by blocking and tackling to achieve the building blocks of digital transformation, such as figuring out what, how and when to move to and get value out of cloud, SaaS et al. There is a lot of legacy technical debt out there that is a barrier condition, particularly where key business & customer-facing processes are intertwined with that legacy technology. In order to transform rather than be disrupted, companies need to work their way out of technology and process debt. Recently I’ve done a podcast which I really enjoyed, and it would be great to do more. A really good, thoughtful (and thought-provoking) whitepaper is always at or near the top of my list, as are speaking opportunities. Regardless of activity type, the topic and content is important.